Clear skies. Low near 40F. Winds SSW at 5 to 10 mph..
Clear skies. Low near 40F. Winds SSW at 5 to 10 mph. 3:53 p.m.: N2259 Alta Vista Drive, medical assist, assist EMS crew, town of Linn. 9:30 p.m.: Springfield Road/County Road NN, vehicle accident with injuries, town of Geneva. 3:54 p.m.: 9228 S. Highway 140, rescue or EMS standby, Clinton. 5:08 a.m.: 1320 W. Main St., gas leak. 11:01 p.m.: 302 Townline Road, outside rubbish fire. 8:20 p.m.: 1452 Wells St., special type of incident, other. 11:35 a.m.: Sonata Way/Cadence Circle, gas leak. 11:27 a.m.: W4093 Elgin Club Drive, assist police or other government agency, town of Linn. 6:40 p.m.: 725 S. Curtis St., smoke or odor removal. 8:56 p.m.: N2132 County Road H, medical assist, assist EMS crew, Bloomfield. 9:52 a.m.: 725 W. Main St., carbon monoxide detector activation. 6:26 p.m.: Interchange North & Sheridan Springs Road, vehicle accident with injuries. 3:46 p.m.: N2047 Saltbox Road, Sharon, building fire. 11:52 a.m.: 1300 block of West Main Street, vehicle accident with injuries. 8:36 a.m.: Wrigley Drive boat launch, water rescue. 6:50 p.m.: Eastbound state Highway 12 & North Bloomfield Road, vehicle accident without injuries. 11:59 a.m.: 2330 state Highway 120, rescue/emergency medical call. 4:43 p.m.: 8915 Alden Road, Hebron, Illinois, building fire. 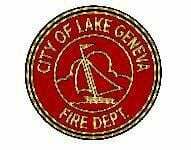 7:34 a.m.: 90 E. Geneva Square, water evacuation.